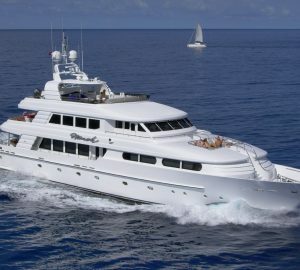 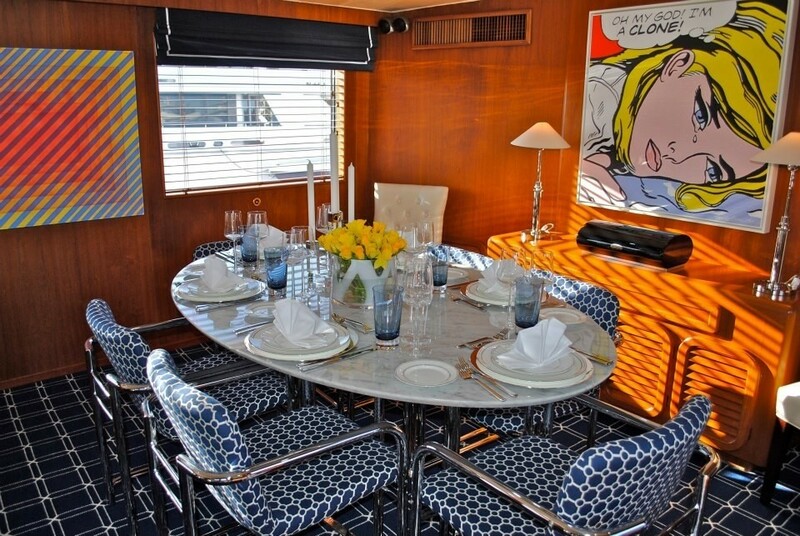 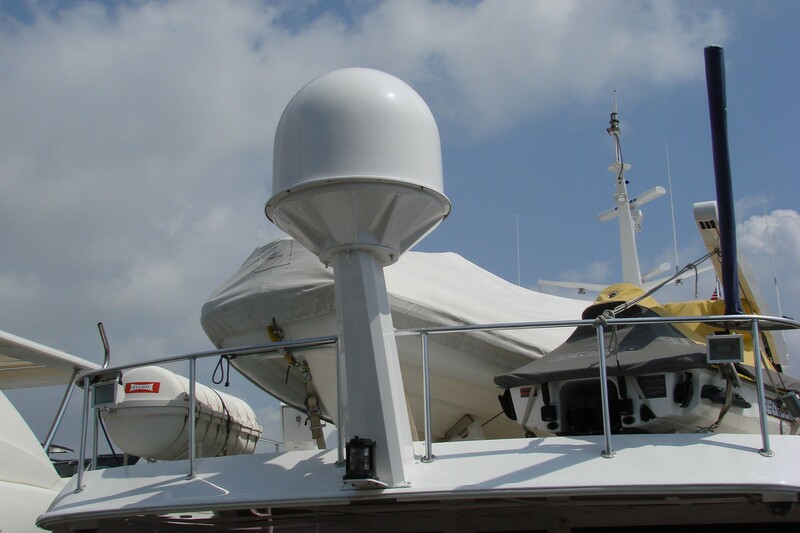 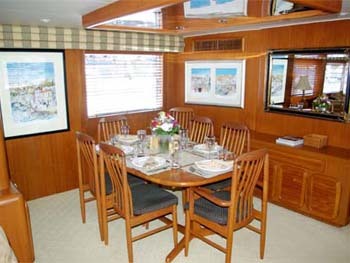 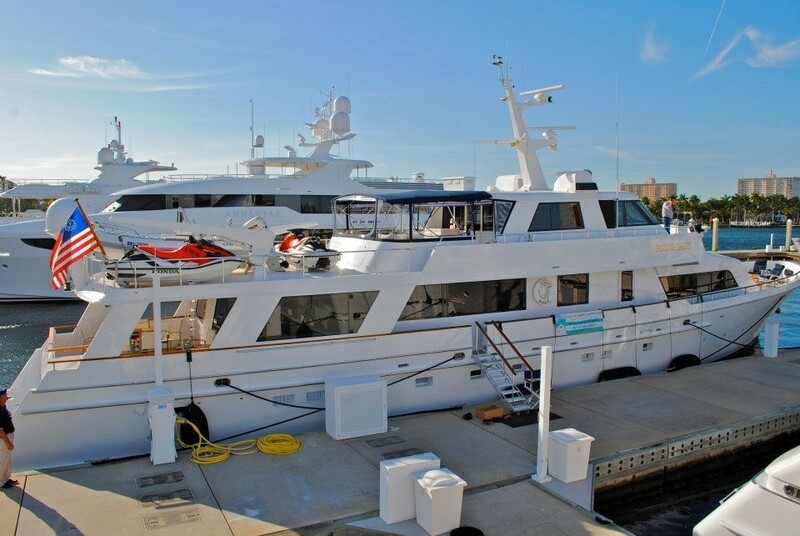 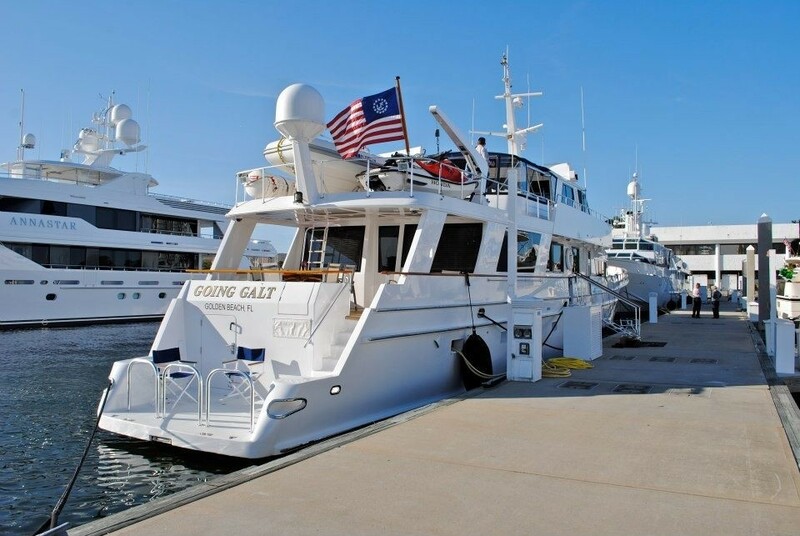 GOING GALT is a privately crewed motor yacht available for charter in the Caribbean Sea over the winter and the New England Area over the summer. 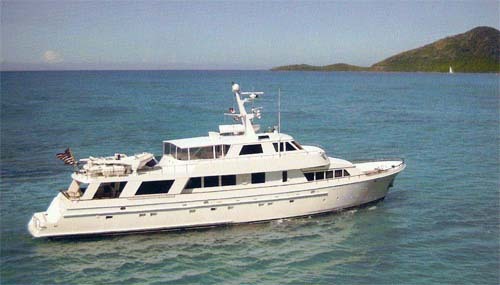 She is based in the British Virgin Islands from November though to May and she is 104ft and sleeps up to ten people. 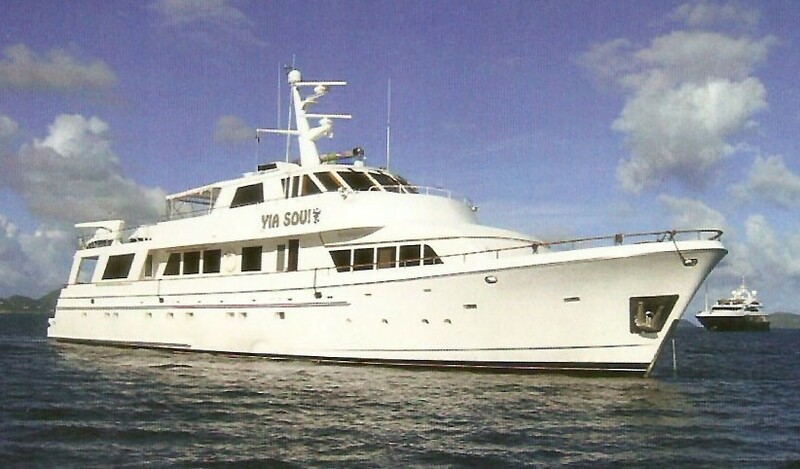 Yia Sou is an excellent price for her size and layout and one of the most economical yachts of her size in the Caribbean. 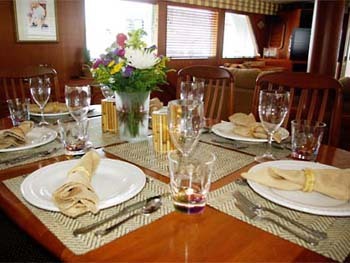 Sleeping up to ten people in five large guest cabins with four bathrooms, GOING GALT is perfect for large families, groups of friends, honeymooners or couples. 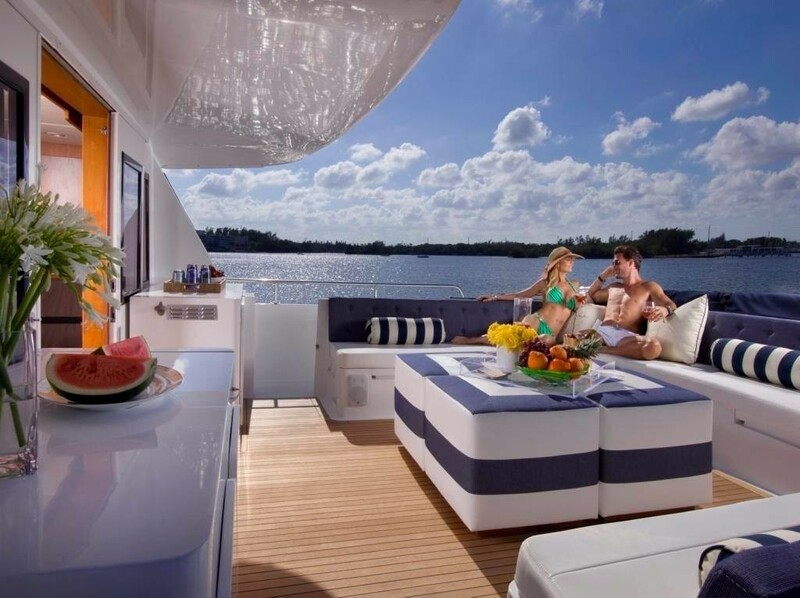 With plenty of space to relax both inside and out there is room for guests to get together when the want to or spread out and relax when some privacy is needed. 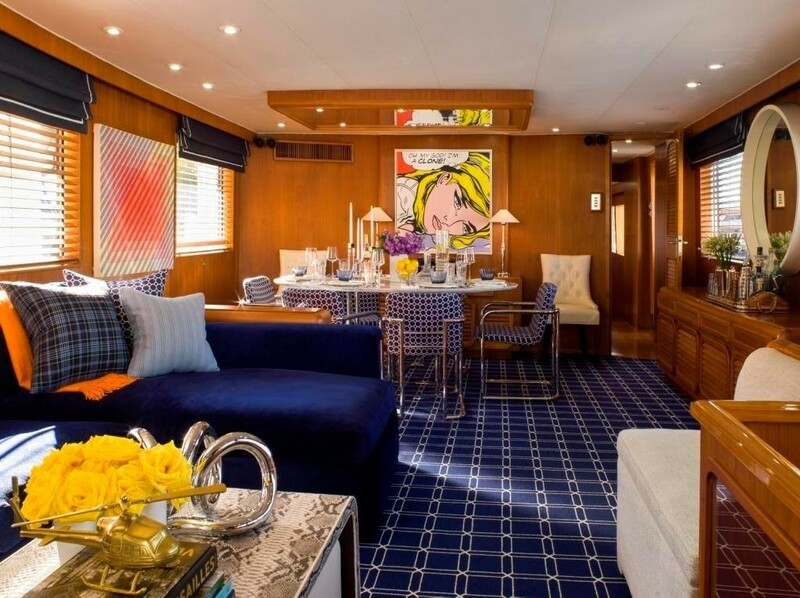 Her large spacious salon is perfect for an afternoon nap in the cool or a get together in the evenings to watch a movie and reminisce on the day’s events. 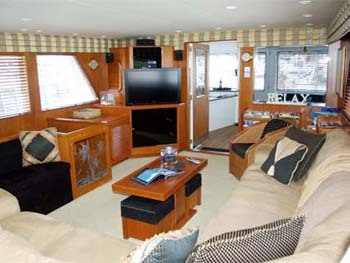 GOING GALT also features a sky lounge on her top deck set behind the bridge. 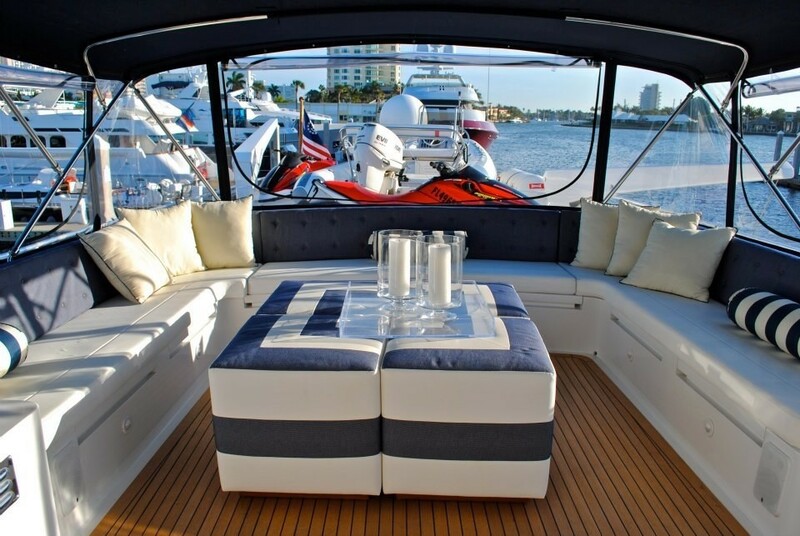 The Sky Lounge is the perfect place to hang out in the evenings for cocktails or a game of Cards. 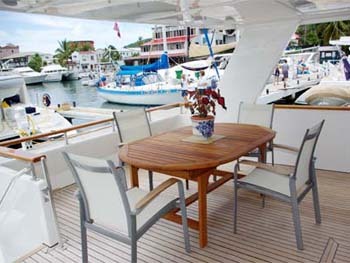 She has four professional crew on board; all are very experienced in running a charter yacht in the Caribbean. 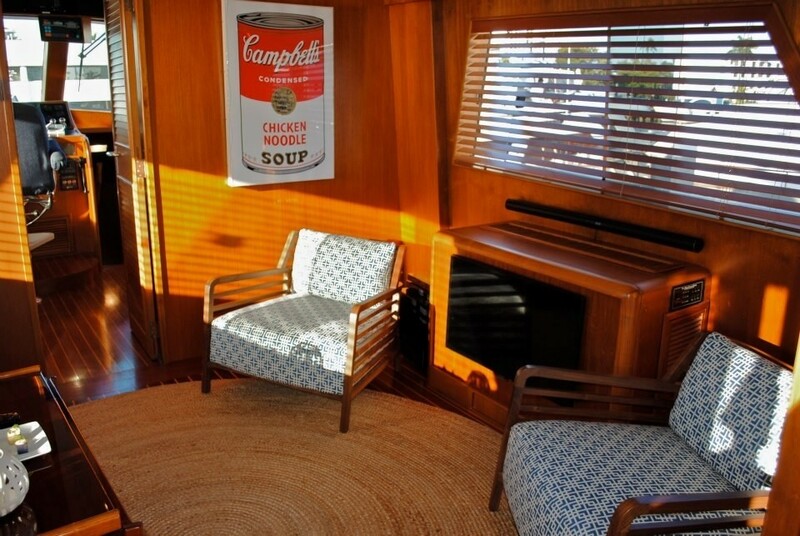 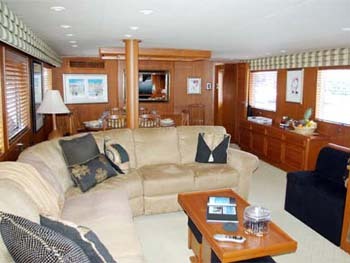 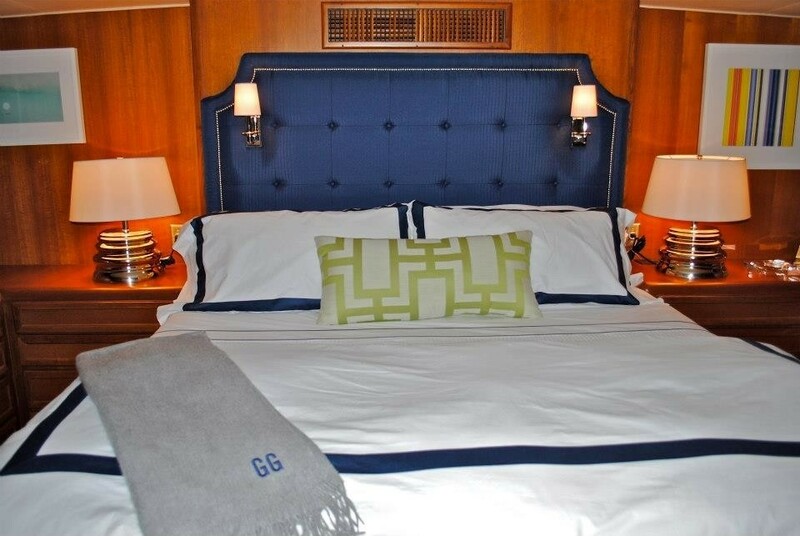 GOING GALT has one master king suite on the main deck level. 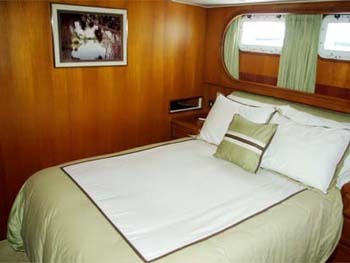 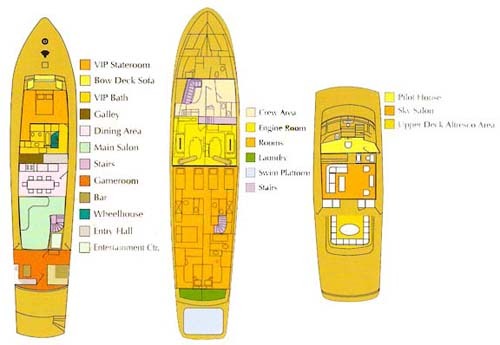 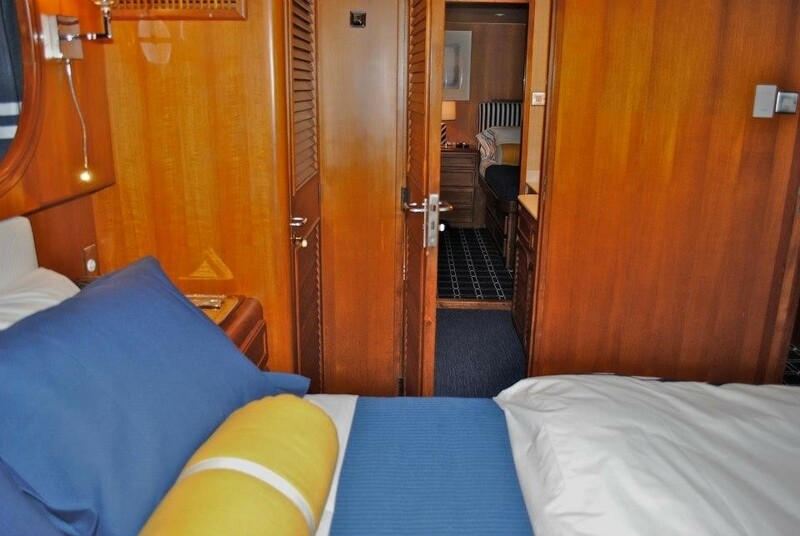 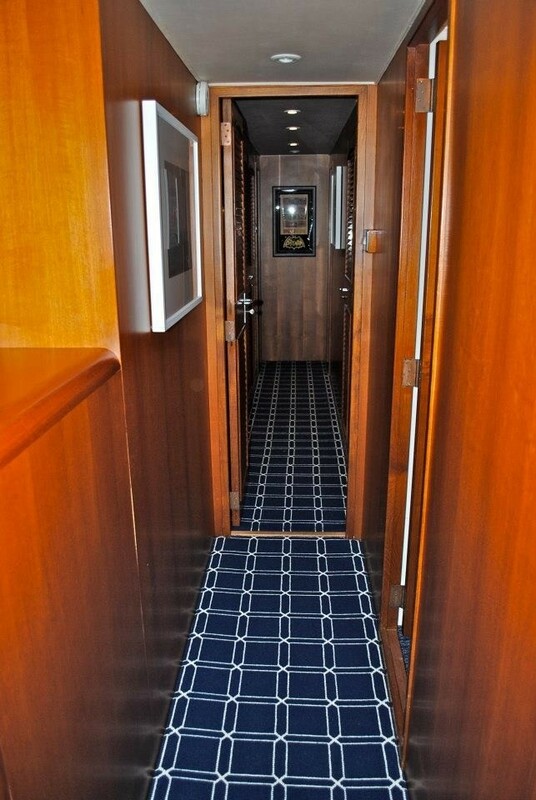 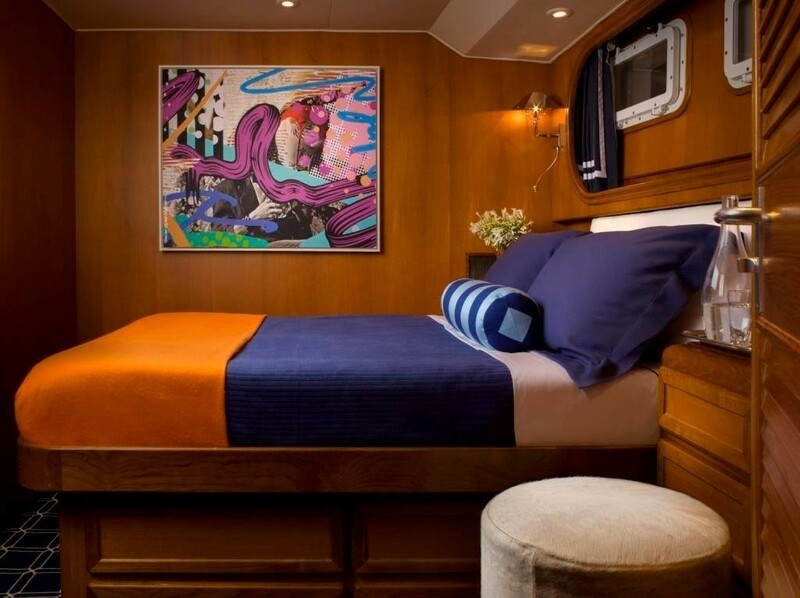 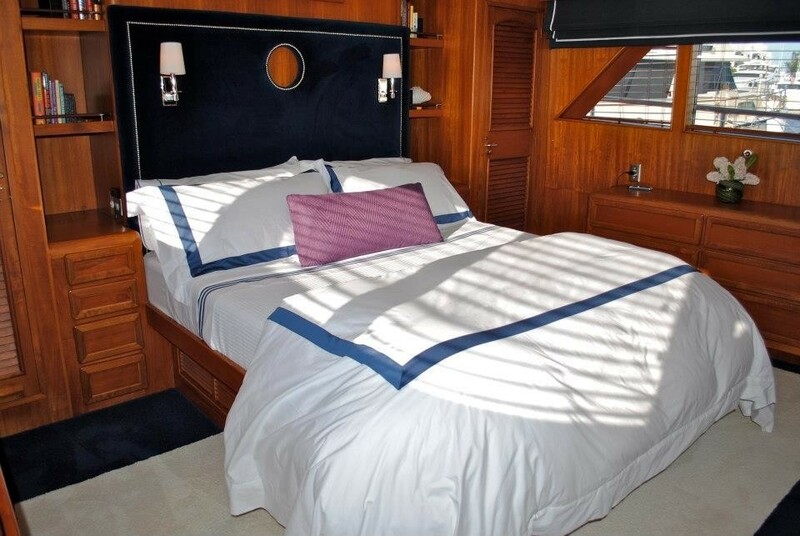 Below she has four other guests cabins including and aft VIP queen suite as well as a amidships port guest queen suite sharing a head with amidships port twin cabin (with Pullman berth available). 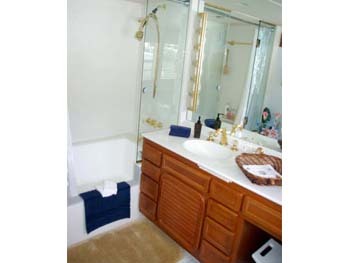 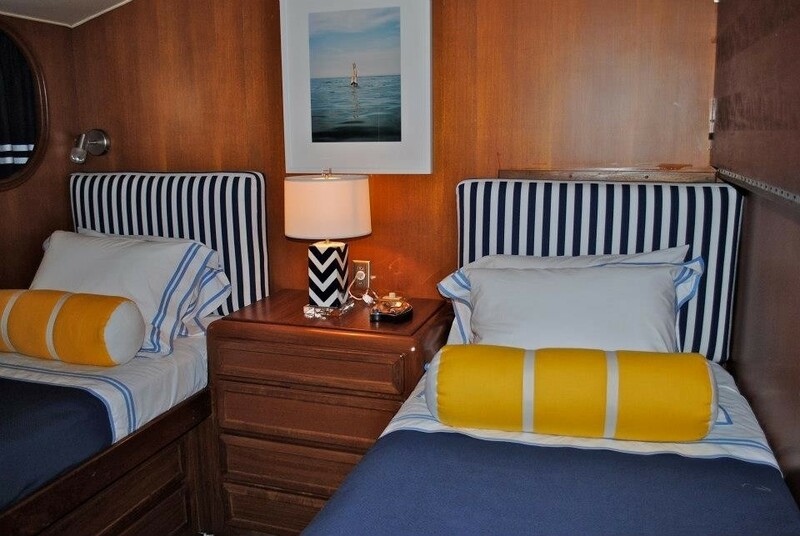 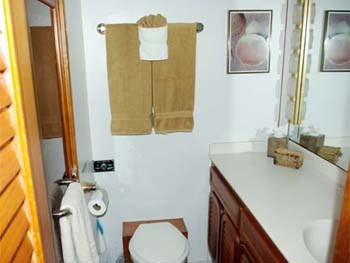 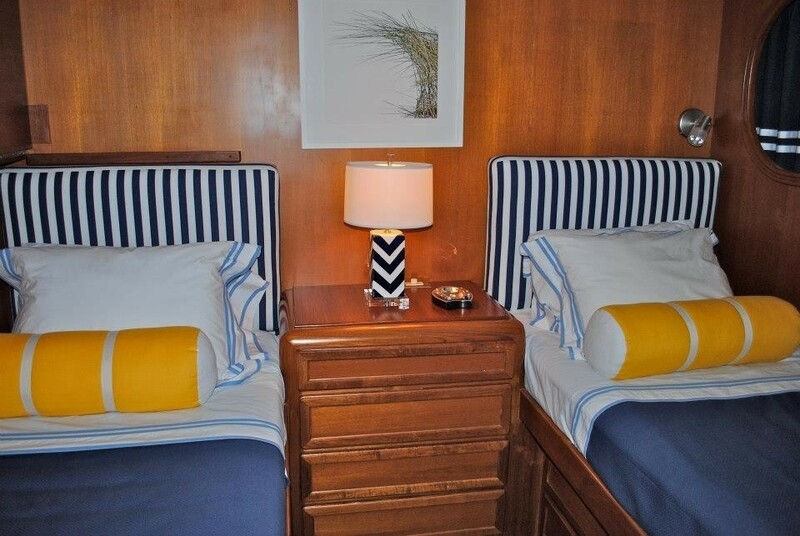 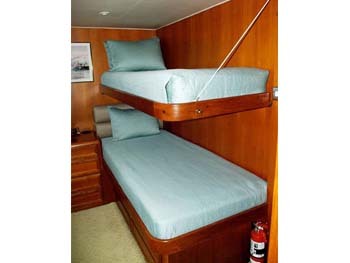 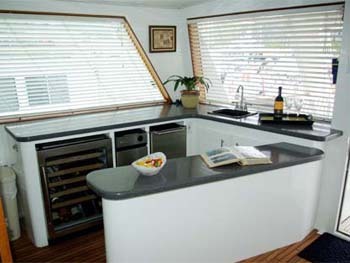 There is also one amidships starboard twin suite. 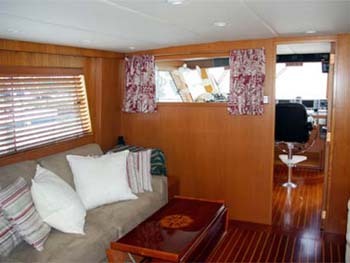 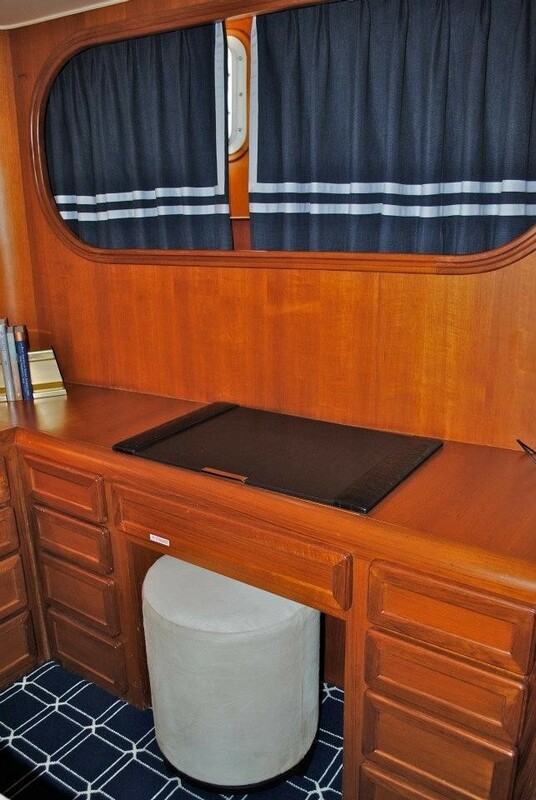 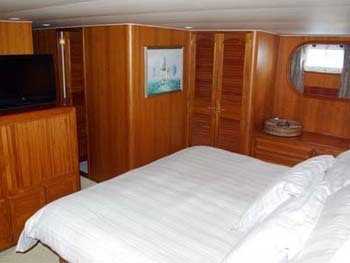 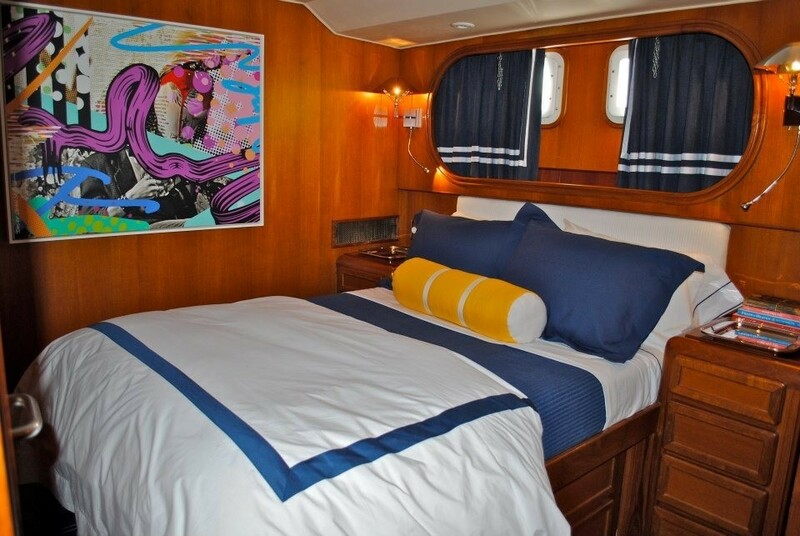 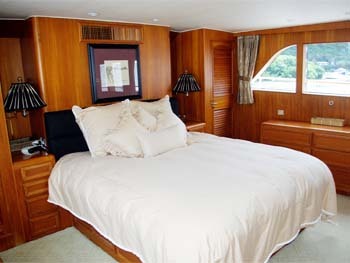 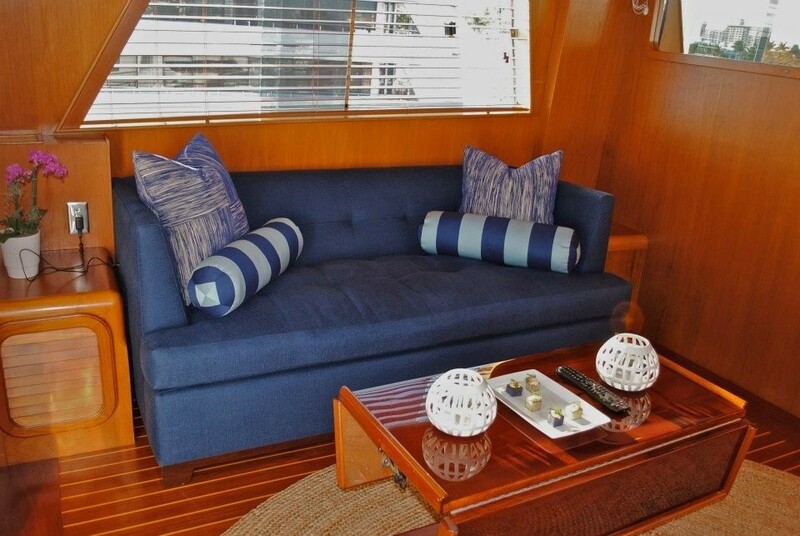 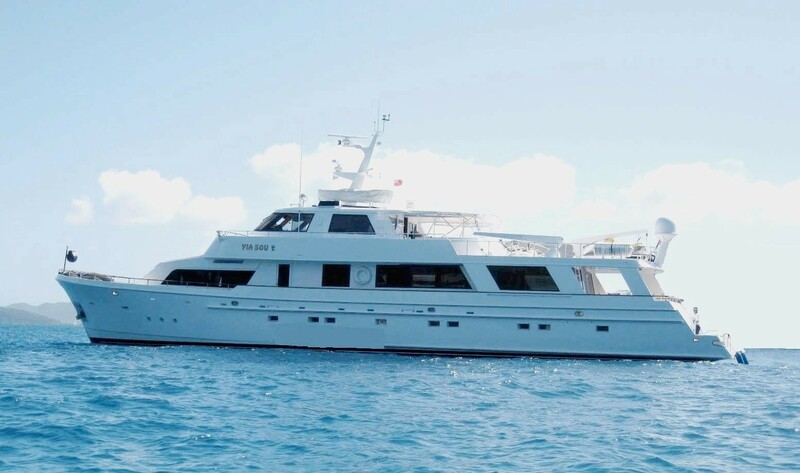 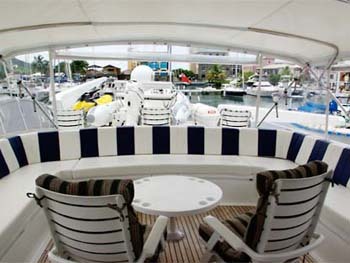 Yia Sou has a total of 5 guest cabins and accommodates up to 10 guests for charter. 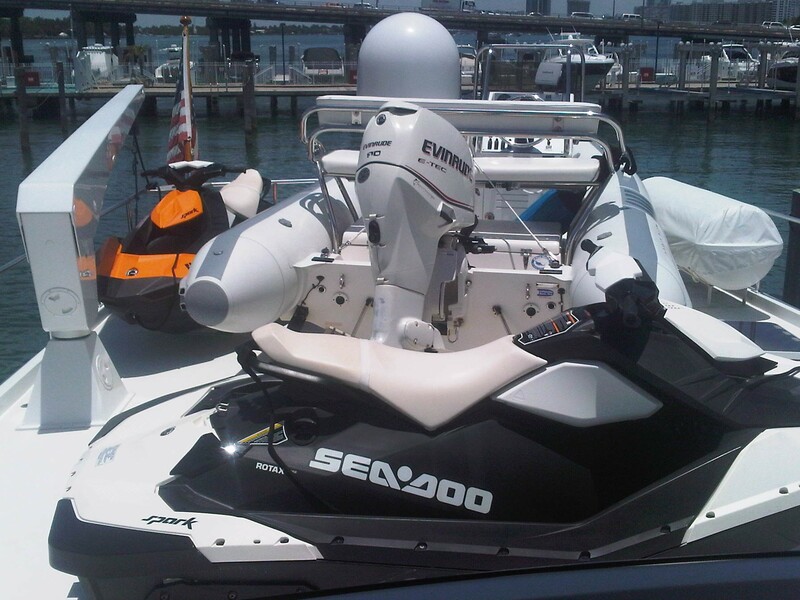 16 ft inflatable hard-bottom tender (RIB) with 80 horse power outboard engine, Water-ski’s, kneeboards, beach games and snorkeling equipment.